Our quiche, cookies, cakes, and other baked goods are hand crafted daily with the freshest ingredients and can be made to order! Try some of our tasty new and delicious products like our fresh cookie sandwiches, sure to please any sweet tooth! Freshly prepared brownies and other treats are available in store or for special orders. 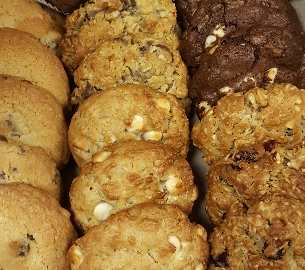 Stop by and try one of our many cookie flavors or order a party tray for your next event. Remember, Cookie Day on the 12th of every month! 12 for $12. Hello & welcome to Jacquelyn's. Order online, pick up in store. 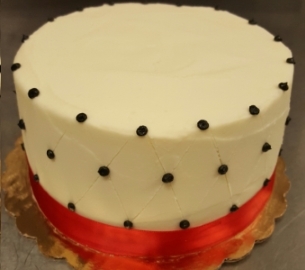 Cakes customized and made just for you...Enjoy one of our custom cakes for your next event! 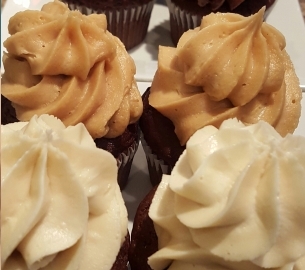 Try one flavor or try them all...individual cupcakes are the perfect treat! Over 30 flavors of cookies and cookie day every month! Want something different? 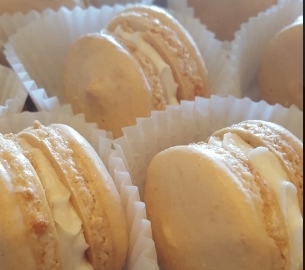 Try any variety of our fresh pastries including puffs, macrons, and more! 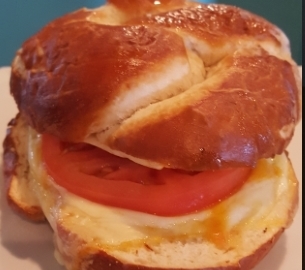 Stop in for a fresh lunch made just for you. Grab a quick wrap or soup and salad! 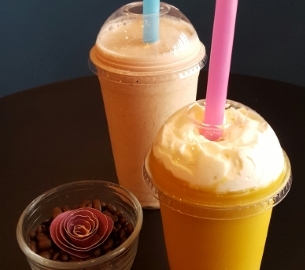 Fresh drinks made to order! When you like it hot or cold, we've got something for you. Stop by any of our events...We'd love to see you! 30: Small Business & Doughnut Saturday - buy 5 & 6th free & celebrate the Bakeshop's 7th birthday! 1: The bakeshop turns 7!